To distinguish ourselves as the premier provider of world class building materials and exceptional service. 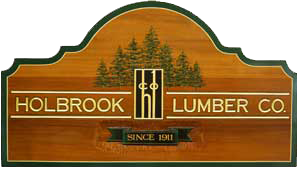 Holbrook Lumber Company is a team of dedicated professionals, committed to meet the evolving needs of our customers. It is our goal to provide the highest quality products, dependable delivery and to build long-term synergistic relationships between our customers and suppliers. We will honor the environment and help lead our industry in a responsible direction. "Since 1911, anticipating the demands of tomorrows market – today!"